Why you should be gravel grinding (if you’re not). Gravel grinding is awesome if you want a competitive cycling sport that hasn’t gone commercial and become dominated by professional athletes. You can choose your bike—any type bike is allowed, from road bike to full-suspension mountain bikes—and you’re racing for glory with other gravel enthusiasts. No money, as the sport is still largely about community and the fun of it all. Enthusiasts love gravel grinding because of its mix of aspects of road and mountain biking. You’re on dirt or gravel roads, so you won’t be navigating technical terrain; likewise, you’ll be largely traffic-free and away from car fumes. Also, you get to see parts of the rural countryside you’d be unlikely to otherwise encounter. You’ll bike through pastoral landscapes, past streams, barns sagging or not, tractors, the occasional sheep or duck in their domesticated routine. You get the idea—you’re cycling off the beaten path, yet not in the wilderness, exactly. Something in between. Gravel, mud, sand and more. Gravel grinder races get their title from the nature of most rural roads, which are typically maintained by the respective county in which they reside. Counties and states usually have funds to pave only larger rural arteries, leaving thousands of miles of unpaved smaller roads. To keep these passable, these governments resort to spreading gravel by the truckload. Still, in rainy conditions, and depending on the soil composition of the area, the gravel can be swallowed by clay or other mud. Also, potholes, washboards and other irregularities accumulate in the road surface, making for interesting cycling. The upshot: when gravel grinding, be prepared for unpredictable road conditions! 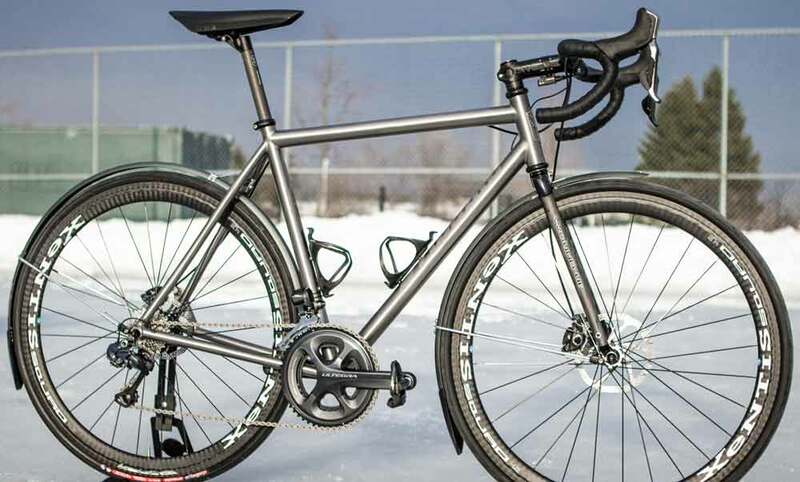 Gravel X carbon fork: the ideal fork for gravel grinding. The Gravel X, with its filament wound carbon fiber construction, offers the same stability, vibration dampening and torsional stiffness as the rest of the Wound Up carbon fork family. 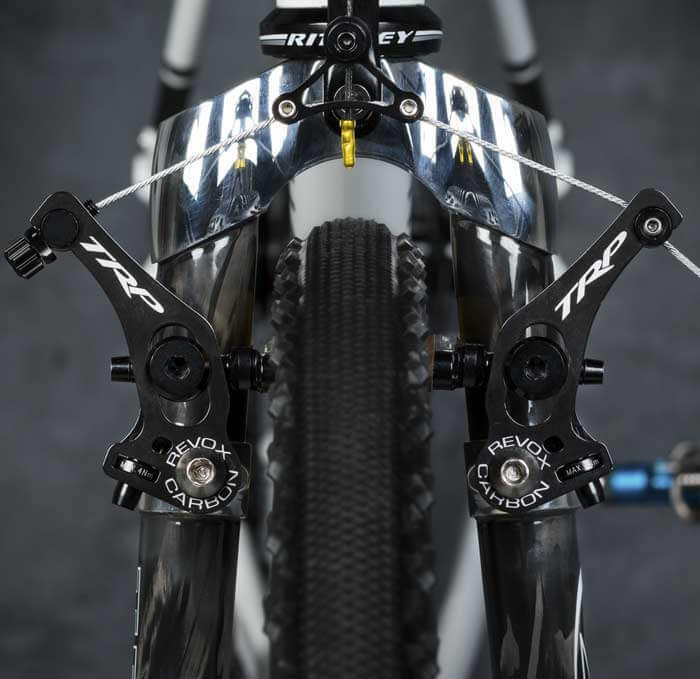 It’s much lighter than a mountain bike fork, yet brawnier than an ultralight road fork. The Gravel X carbon fiber grinding fork will handle the washboards, potholes and chunky parts endemic to unpaved roads, absorbing their chatter into its filament wound composite legs. Disc brakes for control while grinding that gravel. The Wound Up Gravel X fork comes standard with disc brake tab. 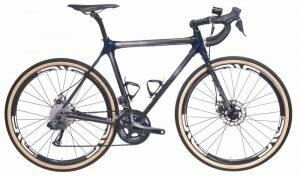 Disc brakes allow for perfect braking control for those sudden potholes, that fellow gravel grinder who cuts you off, or that goat crossing the road. With the Gravel X carbon disc fork, you’ve got it all: elite performance, precise handling, sure braking, and rugged filament wound carbon construction. What’s not to love? It is a Wound Up, after all.